Who’s playing Flag Football? Grade school boys and girls, High School boys and girls, college fraternities, college sororities, celebrities, military, wounded warriors, former NFL Players, elite athletes, recreational athletes, athletes playing flag as their second or third sport–just about everyone. To consider Flag Football as an “emerging sport” may be an understatement. With endorsements, advocacy and new leagues popping up everywhere, there is a tipping point on the horizon when Flag Football transitions from recreational to legitimate, competitive and sanctioned. With this acceleration comes better coaching, better leagues, better game play and richer opportunities for those that love the game. Recent articles below point to the rise of flag football. Or just search google news and see for yourself. Or check these article out. 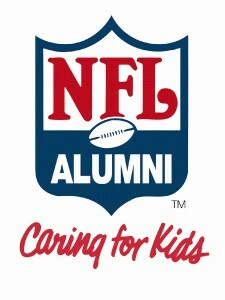 Excerpts: …flag football has emerged as a fun and safe way for kids and adults to play football. The rules are very similar to “tackle football”, but the elimination of contact makes it safer. A 2016 study by USA Football found that participation had increased among children aged six and fourteen in flag football more than in any other sport. Excerpts:…This is flag football, one of the fastest growing organized sports in New York. Asphalt Green, a youth sports powerhouse on Manhattan’s Upper East Side, went from registering 45 players in 2007 to over 500 this year. Observing from the sidelines, it’s hard not to notice the genuine and infectious level of enthusiasm among the players, their coaches and those there to cheer them on. “Both boys just love it, and as a parent it’s so much fun to watch,” said Melina Mackall of Brooklyn whose two sons, Jackson, 11, and Spencer, 9, play in the 78th Precinct league. The community effort is why the team’s home league has grown so substantially, with girls’ participation steadily increasing by the year. Players recruit their friends from school and teammates from other sports and share their own experiences with other girls their age (and younger) to get them involved. “The sport is really fun, but the reason I keep coming back is because of the people,” said Fusion player Shea Messman, a 14-year-old high school freshman whom Gray estimates has recruited more than 20 girls to play. Need more football? Choose an NFL partner youth football camp in the right column. Will my child learn to block and tackle?